Uses: Pre-alloyed nickel-aluminum base material suitable for arc spraying processes. The coating is dense, with high temperature oxidation resistance, thermal shock resistance and scratch resistance. The bonding strength is above 55MPa. The coating can also be used directly as a working layer. Its basic composition is Ni 95% Al 5%. The state is pre-alloyed solid wire. The bonding primer prepared in 955 exists between the substrate and the working coating. Good metallurgical bonding not only improves the bonding force with the substrate but also provides a rough surface to the working layer. It is impossible to use for some special-shaped, too thin, too hard. Substrates that are sandblasted, roughened, or machined for roughening are particularly well suited for use with 955 alloy wires. The most ideal method is to spray 955 alloy wire on the roughened substrate. The thickness of the coating is controlled between 0.05 and 0.15mm. It should not be too thin. A too thin bonded bottom layer cannot withstand the shrinkage stress of a too hard and thick working coating. A too thick bonded bottom layer can be economically wasteful. When the substrate can not be roughened, low pressure (50mm) can be used for spraying, and a very good bonding layer can also be obtained. In addition to pure copper, tungsten, molybdenum, tantalum, and niobium, 955 arc spraying wire can form micro-metallurgical bonding with almost all metals, and it can also produce self-adhesion effects with graphite, glass, and ceramics. Can be used as engine crankshaft, engine shaft, machine tool guides, cylinders, plungers, printing rollers, blast furnace tuyere, babbitt alloy bearings and other spray repair parts combined with the underlying material. Because the coating has good wear resistance and high temperature oxidation resistance, it is used as a repair material for aircraft turbine engine parts abroad. Its basic composition is Ni 95% Al 5%. The state is pre-alloyed solid wire. 1. Thermal spraying is a kind of surface strengthening technology and an important part of surface engineering technology. It has always been a new technology project focused on promotion in China. It uses a certain heat source (such as arc, plasma spraying or burning flame, etc.) to powder or wire. Of a metallic or non-metallic material heated to a molten or semi-molten state and then sprayed onto the surface of the pretreated substrate by means of a flame retainer itself or compressed air at a rate of deposition to form a surface coating with various functions . 2. Thermal spraying principle: Thermal spraying refers to a series of processes in which fine and dispersed metallic or non-metallic coating materials are deposited in a molten or semi-molten state onto a prepared substrate surface. Some kind of spray deposition. 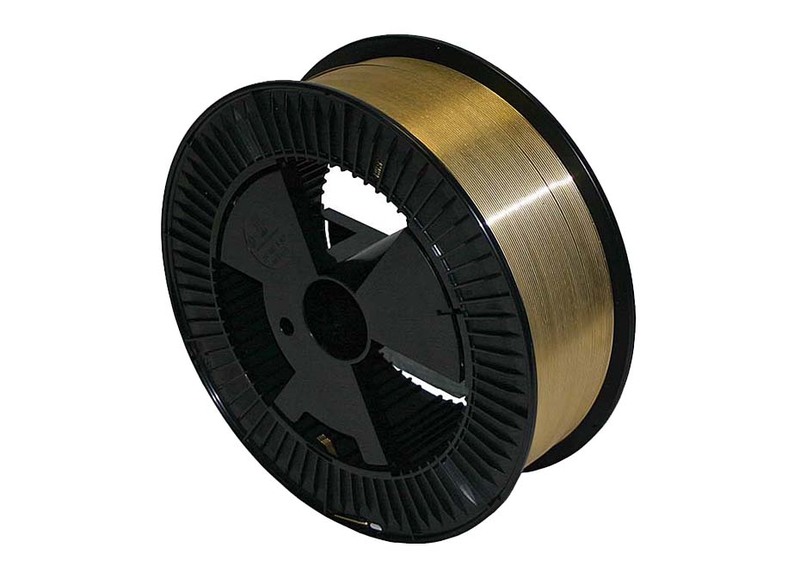 The coating material may be powder, ribbon, filament or rod. The thermal spray gun provides the necessary heat from the fuel gas, arc, or plasma arc, heats the thermal spray material to a plastic or molten state, and then undergoes acceleration of the compressed air, causing the confined particle beam to impinge on the substrate surface. The particles impinging on the surface are deformed by stamping to form a laminated sheet, which adheres to the surface of the prepared substrate, and then cools and accumulates, finally forming a layered coating. The coating can achieve high temperature corrosion resistance, abrasion resistance, heat insulation, and electromagnetic wave resistance due to the different coating materials. 3. Definition: Thermal spraying refers to spraying equipment that uses oxygen-acetylene flames, arcs, plasma arcs, blast waves, etc. to provide different heat sources, produces high temperature and high pressure flame flow or supersonic flame flow, materials that will be made into coatings, such as various metals, Ceramics, metal-ceramic composite materials, solid-state spraying materials of various plastic powders, instantaneously heated to plastic or molten state, and applied to a surface of a pretreated (clean and rough) component to form a coating at a high speed. . We call the special work surface a “coating”, and the working method of making a coating is “thermal spraying,” which is a general term for spraying and welding using various heat sources. 4. Uses: This will make it atomize into fine droplets or high temperature particles under the action of high-speed airflow. It will be sprayed onto the surface of treated workpieces with high flying speed to form a solid covering, so that the surface of the workpiece will have different hardness and wear resistance. , Corrosion resistance, heat resistance, oxidation resistance, heat insulation, insulation, electrical conductivity, sealing, disinfection, anti-microwave radiation, and various other special physical and chemical properties. It can repair old and waste materials in the maintenance of equipment and make the scrapped parts “return to life”; it can also be strengthened and pre-protected in the manufacture of new products to make it prosperous and prolong life. 5. Thermal Spray Material: Spray powder occupies a very important position in the entire thermal spray material. Thermal sprayed alloy powders include nickel-based, iron-based, and cobalt-based alloy powders, which are applied to the repair and protection of mechanical parts according to different coating hardnesses. Nickel Aluminum 95/5 thermal spray wires can equivalent to: Sulzer Metco 8400, Tafa 75B, 75E Nickel Aluminium 95/5.